First-class bookkeeping at reasonable rates. If you’re looking for general book keeping services, we offer top-notch work at exceptionally reasonable rates. We’re committed to saving you money, so that you can focus your full attention on achieving your goals. Our professional advisors offer you a fixed price with guaranteed performance satisfaction. We offer efficient, timely, and effective professional bookkeeping services in Omaha, Nebraska for businesses of all sizes. Reconciling your business checking account each month allow us to keep your bank account, accounting, and taxes up-to-date while managing your cash more effectively. A profit and loss statement allows you to track revenues and expenses so that you can determine the operating performance of your business and whether your business is over-budget or under-budget. A balance sheet helps you to quickly get a handle on the financial strength of your business by analyzing trends to determine if your business can easily handle the ebbs and flows of revenues and expenses. Today’s tax laws are so complicated that it is just too easy to overlook deductions and credits to which you are entitled. 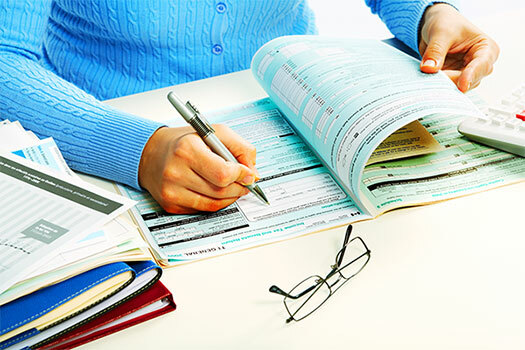 There’s no substitute for the assistance of an experienced tax professional. The audit is key to sustaining confidence in both your company and the financial system at large. We help assure compliance with applicable reporting standards. Once QuickBooks is set-up, we can train you or your employees how to operate QuickBooks specifically for your business by coming to you and focusing on the individual issues facing your business. Balanced Books will help you streamline your business and maximize your profit potential.